THE NATURAL HAVEN: What is wrong with the world? oh my god, that was horrible. Does she not realize how easy it would be if she just put that child's head under a sink and load it up with conditioner?! It hurts me that some little black girls go through this. Is the clip of a child getting their hair yanked on? If it is, I can't watch. My goodness, I had to fight back tears watching this. This "mother" should be arrested for inflicting torture on that baby. This is exactly why the stigma has been associated with tightly curled hair...that it's NAPPY and difficult to control. Ooooh, I wish I knew who this chick was. Sad-- and the way she it attacking the hair is probably tangling it more. Poor child. The woman is so effing stupid it's not even funny. She actually swore at a small child. I guess there goes ANOTHER black girl that will grow up believing her hair is an evil bush that must be destroyed and hidden away. OMG Stupid people make my head hurt. @Mikimu: I had to hold back tears too. Watching that made my head hurt. I CANNOT even imagine how that feels. 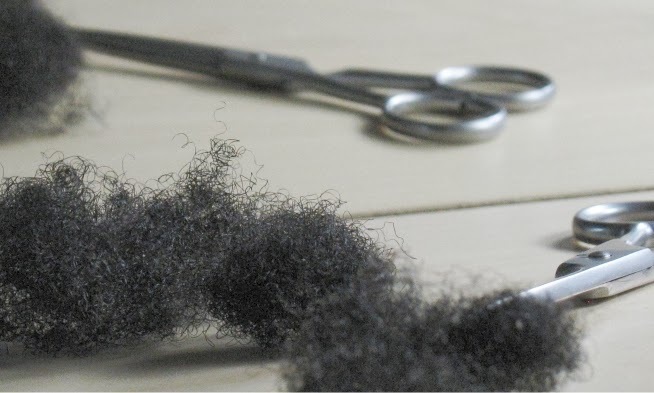 That's one of the reasons that I don't get my hair braided or styled professionally - because most of the stylists are used to working with relaxed hair and just pull and tug combs through my hair. It's too much!